Comprising both line array systems and point source solutions, the d&b Audiotechnik’s V-Series is the answer for any medium to large scale sound reinforcement application. The 3-way passive loudspeakers all share the same dipolar driver arrangement, while the subwoofers all exhibit d&b cardioid technology. In short, the V-Series is a verifiable recipe for success. 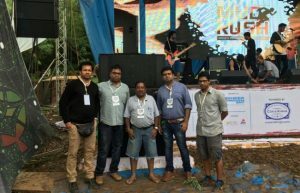 And in recent times, Shiva Systems – one of Mumbai’s leading live sound & lighting rental services provider – has acquired this recipe for success, and has been doing wonders with it ever since. With a legacy of providing top notch solutions for audio-visual reinforcement across application segments across Mumbai, Shiva Systems is recognized as one of the key players in the live audio-lighting reinforcement and rental services market in the city today, with services including projection systems, pro audio systems, staging equipment etc. for events of all scales and scopes. Owing to the massive increase in the number of large scale events that the company has been commissioning in recent times, Shiva Systems were prompted to reinforce their existing inventory with a brand that stands for excellence in performance and quality. With a comprehensive V-Series purchase that encompassed a total of eight units of the V8 and four units of the V12 line array elements, along with six units of the B22 subwoofers (plus accessory kits for transport, rigging and covering the speakers), and a total of four units of the D80 amplifiers to power the loudspeakers and subs, Shiva Systems have proudly affirmed themselves as the newest member to the rapidly growing d&b Audiotechnik family in India. 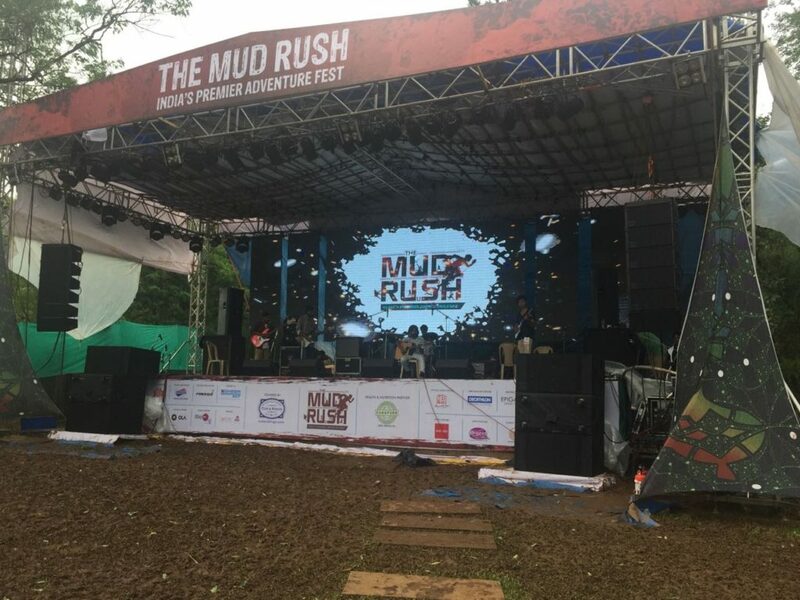 Soon after acquiring the new V-series system, Shiva Systems put it to field as the main PA solution for the recently concluded Mud Rush Festival 2016 in Mumbai, where according to Senthil, the system delivered an absolutely stellar performance. This entry was posted in d&b audiotechnik, Touring Sound. Bookmark the permalink.